Web-based lockbox services for businesses | Technology Management Resources Inc.
TMR's CITATION™ i-Remit browser-based payment processing solution is the ideal transactions management service for any business with recurring payments. Businesses, medical offices, government organizations and institutions can significantly streamline payment processing with a technology solution tailored to meet each organization's unique needs. Your Payment Processing Tasks - Automated! 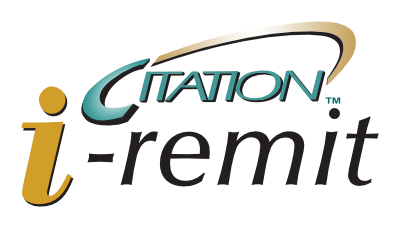 CITATION™ i-Remit automates the tedious and challenging daily task of processing and reconciling payments - reducing back-office workload, lowering overhead, eliminating errors, cutting risk and helping prevent fraud. 5 processing centers across the U.S.
See how to improve your payments picture and increase cash flow while freeing you and your staff to devote more time to business operations.